Movado, the flagship brand within the Movado Group Inc. portfolio, was founded in La Chaux-de-Fonds, Switzerland in 1881.
and acquired by the corporation in 1983. Recognized today for its iconic Museum® dial and modern aesthetic, Movado has earned more than 100 patents and 200 international awards for watch design and time technology, and Movado timepieces are in the permanent collections of museums worldwide. This long, rich heritage of artistry and innovation in design, and a close, enduring association with the arts continue to define the Movado brand identity. Always in motion, Movado creates modern watches of exceptional craftsmanship and design distinction. 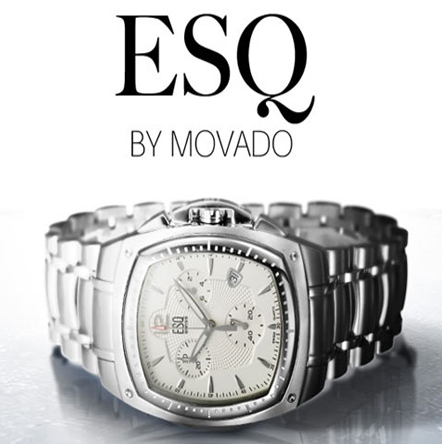 One of the world’s premier watchmakers, Movado Group, Inc. (MGI) designs, manufactures and distributes watches from nine of the most recognized and respected names in time: our wholly owned Movado, Concord and EBEL brands along with our Coach, HUGO BOSS, Juicy Couture, Lacoste, Tommy Hilfiger and Scuderia Ferrari licensed watch brands. From our Swiss luxury timepieces to our accessible fashion watches, each of our brands is recognized for its inherent quality and distinctive image within its price category. Collectively, our timepieces are sold throughout North and South America, Europe, Asia and the Far East. Between our manufacturing facilities in Switzerland, corporate headquarters in Paramus, New Jersey, USA and Bienne, Switzerland, and our sales and distribution offices around the world, Movado Group employs more than 1,330 people.